The International Gay and Lesbian Travel Association (IGLTA) has just announced that it will partner with the most popular travel blogger conference called TBEX, hosted this year in both Fort Lauderdale, Florida and in Bangkok, Thailand. 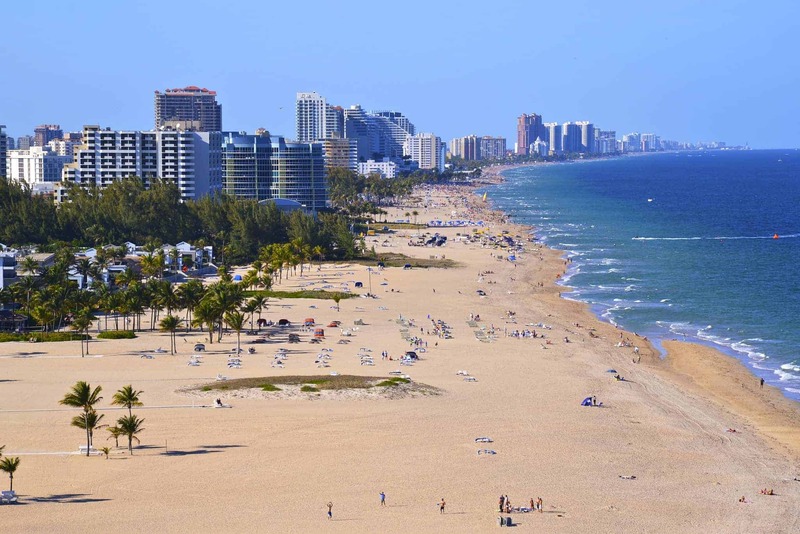 In fact, we’ll be attending TBEX in Fort Lauderdale and will be presenting on a panel with them about issues related to travel and the LGBT community. Plus, if you happen to be a blogger yourself, big or small – you can attend either TBEX event and save 20% on your registration with their code iglta20. What is IGLTA, you say? And why should you care? Well first off, our blog has been a member of IGLTA now for almost 2 years. We first got acquainted with them when their convention came to Madrid in the spring of 2014. As an LGBT traveler, you might not be aware of their organization because they tend to focus more on business-to-business relationships. But as consumers, we all benefit from the work they’ve done the past 30+ years. Today, airlines, hotels, destinations and travel companies from around the world join IGLTA to improve their products and services for the LGBT community. Among other things, they help to train non gay-owned companies to be sensitive to LGBT issues when it comes to travel. We are huge supporters of IGLTA and have made great contacts and friends at the various events held the past 2 years we’ve been active. Each year, they even give out several scholarships for tourism students and emerging destinations to attend the annual convention, just recently held in Los Angeles. We attended the conference and actually spoke as part of a New Media Panel, discussing social media and blogging along with fellow LGBTQ bloggers Adam from Travels of Adam, Meg with Dopes on the Road and Davey Wavey…have you heard of him?! Before and after the convention, we visited Los Angeles staying at the fabulous hotel W Los Angeles in West Beverly Hills and later checking out an awesome gay tour of Hollywood – all organized by IGLTA. 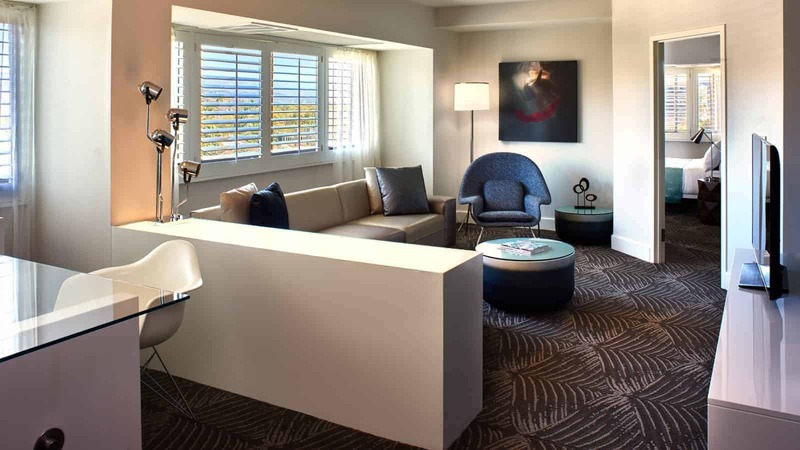 The W Hotel is just one example of a property making strides to reach out to the LGBT community through the association. 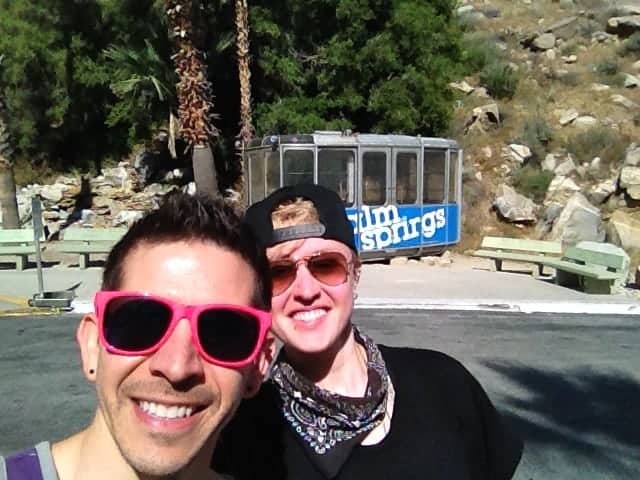 Later we went out to Palm Springs to explore the coolest things to do in this ultra-gay city, a place that has been a leader in gay-friendly destinations for decades. Now for the second time, IGLTA is reaching out to travel bloggers, which is a huge step for them, for us and all our readers. It’s important because they are trying to focus more on the everyday LGBT traveler to help become a resource and they can do that with the help of bloggers like us. Whether it’s providing a listing of gay friendly destinations, hotels with LGBT inclusive policies and training or simply inspiring you to visit places you’ve never thought of, we’re happy to work together and promote the importance of the work they do. We know everyone travels differently, some preferring gay destinations and events while others prefer not to be excluded and seperate because of their orientation. Though one common issue remains between all types – we all want to travel safely, comfortably and know that we won’t be discriminated against or be put in awkward situations during our trip. 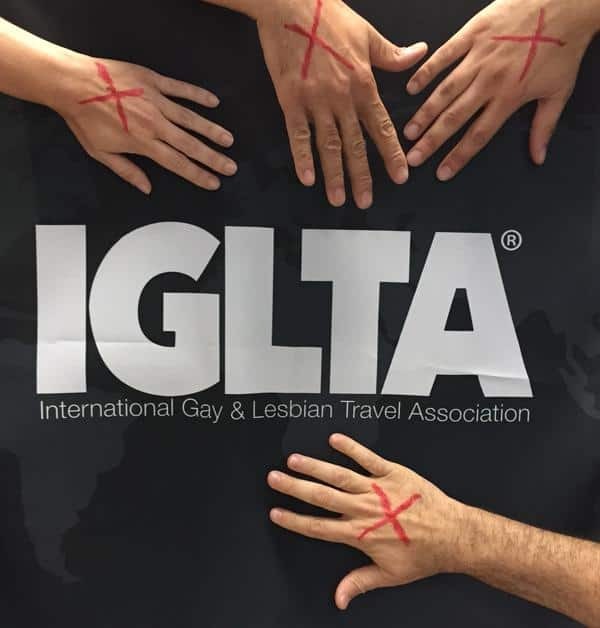 In our opinion, until we see full equality around the world, there will always be a need for blogs like ours focusing on travel for the LGBT community and for groups like IGLTA, a non-profit organization that helps to pave the way for all of us. You can follow along as we partner with IGLTA in the coming months. Follow them on Facebook or Twitter and look for our posts during TBEX and next year in South Africa as we attend their first-ever LGBT travel convention on the African continent! You can also sign up for their mailing list to receive LGBT travel deals, specials and information from their members, partners and other LGBT tourism-related businesses. Featured image photo credit via IGLTA Facebook page. IGLTA is one of the great associations I’ve ever known. The idea of giving an opportunity to customize travel experience is the best! Keep connecting and educating LGBT travelers!